Our new sixth form and music school building at Gresham’s, since named the Britten Building after composer and former Gresham’s student Benjamin Britten, has been officially opened by HRH The Princess Royal, Princess Anne. The new school building replaces the existing music teaching areas and provide new facilities for the practice, teaching and performance of music. As well as providing a series of additional teaching, performance, practice and public spaces for students the Britten Building reinforces links between the existing school and the Auden Theatre building. It will also provide much needed academic and recreational spaces for the sixth form to integrate with the rest of the school, by combining it with the music building. The main materials for the buildings external cladding are mixed-red brick and timber, creating a contemporary feel that is also in keeping with the surroundings. 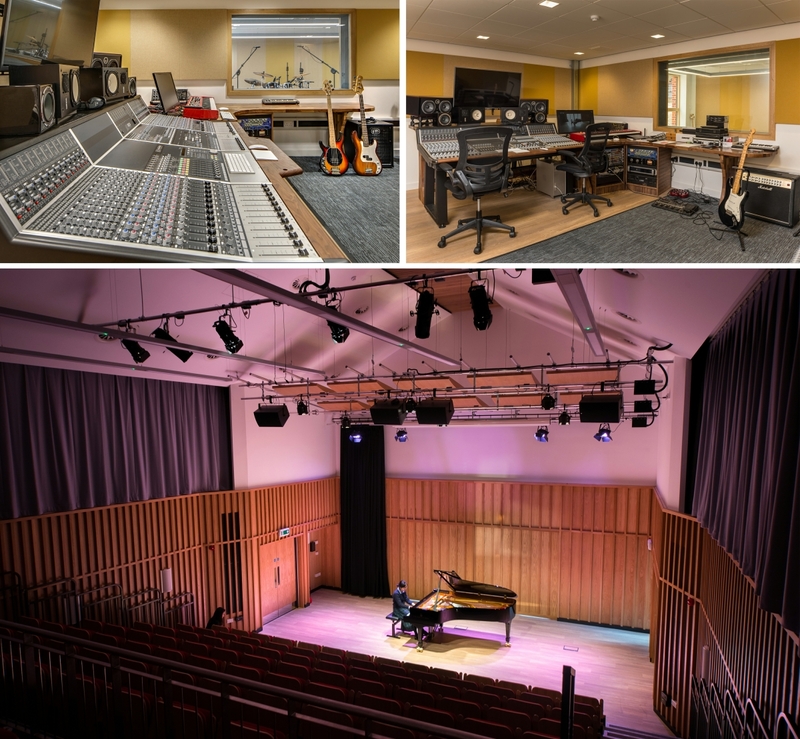 The project was highly commended at the 2017 Architectural Acoustics Awards with Acousticians on the project Adrian James Acoustics commenting that the sound insulation results for the practice rooms and recording studio are among the best that they have ever measured.